Bruce W., Craig K, Toddmeister & KR.....Excellent, Good Fun Folks, All! 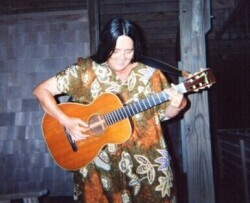 The Cape Cod Gathering of August 31, 2002, "I have been fortunate." What Doc wrote for the subject heading of this thread says it so well. So Doc, I just want to say "me too". I have been fortunate. Everyone I've met from alt.surfing, I knew already to be great folks just from reading/exchanging posts with them. But, you're even more wonderful in person: every single one of you. The minute I walked into the Rico & Lynne house my first thought was: "there's a whole lotta love in this household". Plus, a whole lotta warmth, respect, hospitality and humor. They are a wonderful couple. There's this great easygoing feeling that makes a person feel at home right away. I was rendered pretty speechless getting to meet five of my alt.surfing mentors all at the same time. Thank goodness there's such a thing as a hug, because it's a way to tell a person how very happy you are to see them without having too say much...whereas if I had tried to use words (like I'm trying to do now), they'd just get in the way. Rico, Roca, Doc, Tim & G. Duke all in the same place at the same time. You just knew that there was gonna be some serious surfing conversation going down that night...and there was indeed. I got to hear little bits of it here and there...and it was all so very fine! about life. They each taught me a lot, even in the short amount of time that we got to talk. They already seem like long time wonderful friends of mine. Equally, it was so good to talk with Ralph (Raoul) and Diane. Two more fantastic folks & another wonderful couple. I already felt like I knew Ralph, from hearing the great stories of he & Rico at the 2nd GP. Ralph and Diane felt like long time friends and kindred spirits to me, right away. words, those words would get in my way & I'd immediately trip over those words without saying exactly what I'd like to say. So I'll just keep the many reasons why I appreciate 'em all so much in my heart, instead. A special added bonus was getting to hear Doc & Roca exchange what I think was a Monty Python line or two. I've always loved hearing Team Cape Cod exchange Monty Python, Frank Zappa, Hunter Thompson or Firesign Theatre at alt.surfing. I got to hear it live in action that night. Those were special moments for me. There were a lot of special moments that night for me. Another was when I asked G. Duke about the surfboard he'd found at a garage sale. He'd written a righteous alt.surfing post 2/3 years back, about the stoke of finding it and why he loved it. It was such a treat to hear him describe more about what he'd learned from riding that board. I drank one beer when I first arrived & drank sparking lime water for the rest of the night, with full intentions of driving home to Northern Mass. that night. Then, as the evening was reluctantly drawing to an end, Lynne said that she and Rico had a room all ready for me to stay in. When I heard that, I changed my plans. That was so generous & kind of them...that's the way they are. Thanks so much Rico and Lynne. I slept so great that night. The window was open & I looked out at the marsh for awhile & felt a bit of the sea air, before going to sleep. In the morning I had a great chance just to hang out with Rico, Roca & Lynne. I love moments like that. Rico made us some great coffee & we had some great, easygoing morning-kine conversation, to go with it. I left about 10:30 AM...but, driving home I wish I'd stayed even longer. It was a very special time. Just as when I was in Hatteras with Team GP2K1, I left this wonderful Cape Cod gathering hoping that I'd get a chance to see all again very soon. So much I wish I'd thought to ask, say...and talk about with all who were there. It was just so dolgurn _fine_ to be there with each & everyone of them. Rico and Lynne, Thanks So Much For Such a Beautiful Gathering! Rico, Lynne, Doc, Roca, Tim, Bettye, G.Duke, Ralph & Diane... it was such a pleasure & honor to meet and spend time with you al! [Also see Doc's Report and the Tim Maddux Report.] Also see the group picture. <>May 2005 - Meeting Sully in Lake County. Thank you so much, Mike!!! It was such a pleasure to meet you! And I enjoyed talking with your bride, Mrs. Sully, on the phone very much... she Is so friendly and wonderfuI, and so are you!! I wish I could have gotten there Saturday night to visit with you both, but I just had limited hours to spend with my long lost friend from Hawai'I who lives there now. I loved so much seeing you there on the Lake coaching rowing early on a Sunday morning - In my book, that is the sign of a truly dedicated Waterman!!!!! I hope to get there again sometime to meet up with you and your family ... and next time, I will be sure to take you up on your offer to paddle out onto the Lake!!! I just got home, but as soon as I get caught up on my work, I will check in and post more to this thread and to AS, in General. Alt.Surfing, I Love Your Way! Thanks Again, Sully!!! Also see Mike's report here.